The Superbowl is almost here and that means 2 things: awesome commercials and snacks. For those of you who are really in it for the football, good for you, but if you're looking for me, I'll be the one in the corner hogging the bowl of taco dip. I have married into a family of diehard Steelers fans and when I say diehard, I mean that when they lose, my husband goes to bed in an extremely grumpy mood as if the whole team somehow personally offended him. Maybe if he was into sports for the snacks, he'd be happy all the time like me. If you follow us on Facebook, you might remember how I attempted to make cheesy cauliflower sticks using "riced cauliflower" which is basically a fancy term for cauliflower put through a ricer, or really finely grated or mashed cauliflower (which is what I did with this recipe.) They turned out pretty well, but I knew I could make something even better using the riced cauliflower. If a head of cauliflower married a mozzarella cheese bite, this would be their love child. 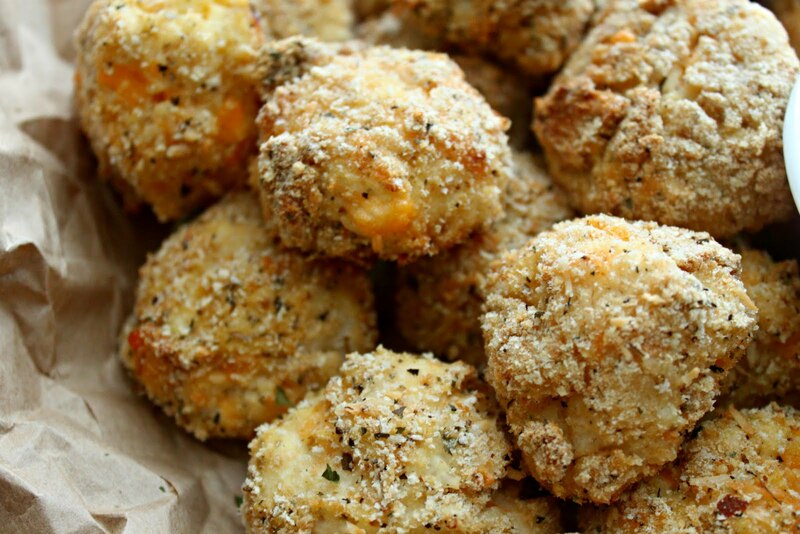 These cheesy baked cauliflower bites are crispy, creamy, and you'd never guess that you're eating cauliflower. INGREDIENTS: 1 small head of cauliflower, 1/2 cup shredded cheddar cheese, 1/2 cup sour cream, 4 oz cream cheese (at room temp), 2 eggs, 2/3 cup bread crumbs, 2 tsp. italian seasoning, 1/2 tsp salt, 1/4 tsp pepper, 1/4 cup parmesan. ONE: wash and cut your cauliflower into small pieces. Cook your cauliflower (I prefer steaming) and let cool. Use a ricer to rice your cauliflower or, if you don't have a ricer, grate or mash your cauliflower until you have fine grains. THREE: in a medium bowl, mix together your breadcrumbs, Italian seasoning, salt, pepper, and parmesan. In another bowl, beat the two eggs. 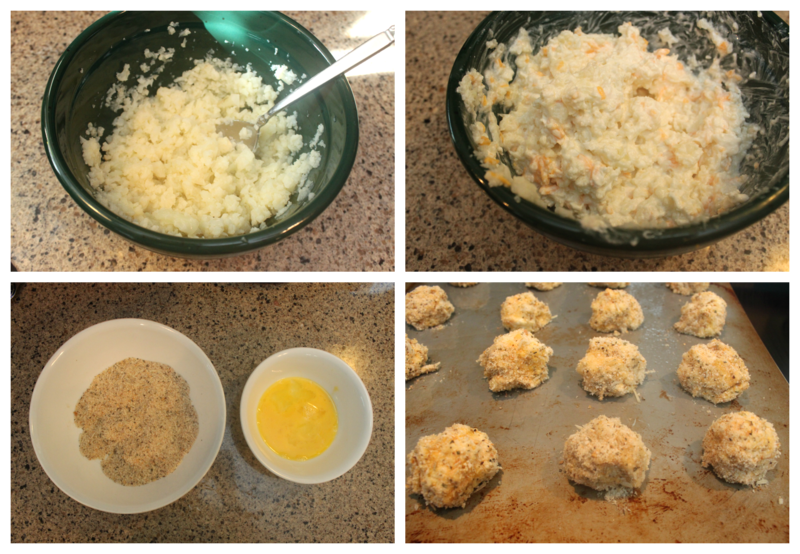 FOUR: roll your cauliflower mixture into balls roughly 2-3 inches in diameter. Dip them into the egg mixture to coat, then roll them in the breadcrumb mixture. Place on a greased cookie sheet and bake at 425 degrees for 35 minutes. Yields approximately 20 cauliflower bites. 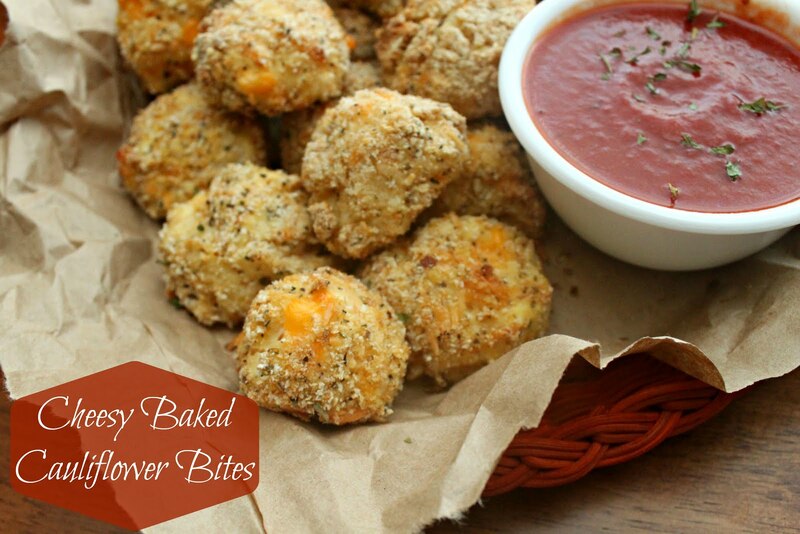 They're best warm, so dig in - these little crispy bites are addictive! If you'd like a dipping sauce to go along with your cauliflower bites, a cup of warm marinara works great. 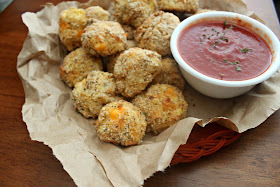 ooh...and a fun way to get my kids to eat cauliflower too :) Yummy! Thank you! Love this idea and I think I'll add it to my Sunday recipe list! It has been decided: I am making these this weekend. Love! I just discovered your lovely blog via the Sugar and Dots link up...I'm so happy to now be following along! 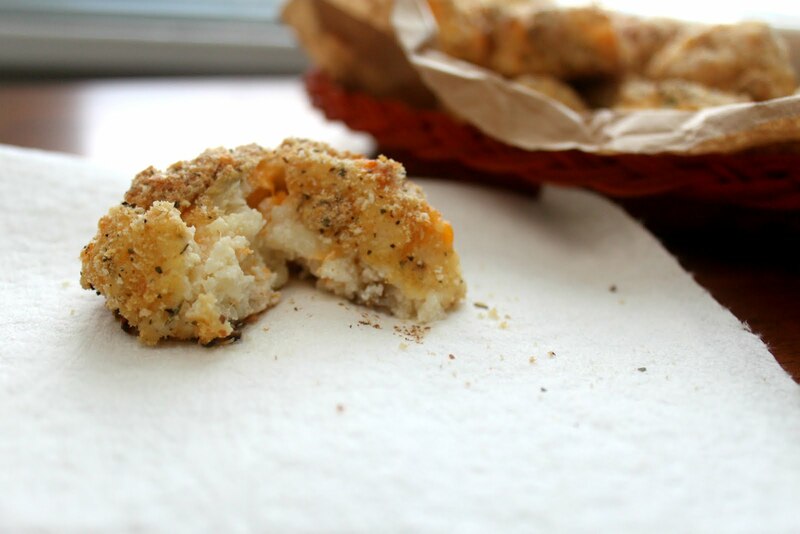 My kids are not crazy about normal flour so I love the idea of hiding it in this cheesy goodness. Just pinned and will try! This looks delicious! I happen to love cauliflower and my kids happen to love cheese so this is a beautiful combination! This looks DElicious!!! I want to make this ASAP! These sound so good! I love cauliflower - it's such an under-appreciated vegetable!!! These sound delicious, and I love that they are baked!